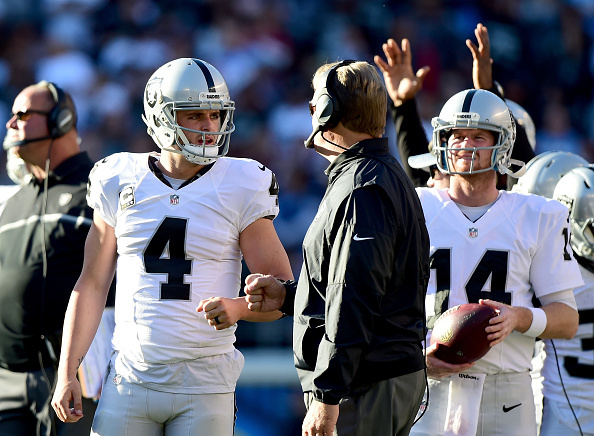 It’s official – for the first time in 14 seasons the Raiders will be playing football past week 17. Oakland with the 19-16 Sunday win over the San Diego Chargers on the road and with the Broncos losing at home to the Patriots have clinched a playoff birth. At 11-3 the Raiders move back into first after the gift Sunday of the Titans beating the Chiefs in Kansas City. 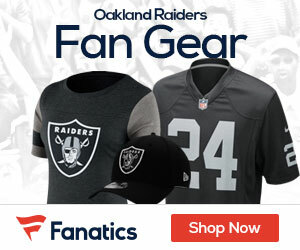 If the Raiders can win their last two games, they will clinch at first round bye and host a divisional playoff game and possibly the AFC Title game in Oakland. The Raiders end the season with a home game against the Colts next Saturday, and then play on the road at Denver to end the year. With win over San Diego, Raiders have clinched their first playoff appearance since 2002. What a great season so far for the Raiders.